As a general rule, when people think "Oregon" and "wine" in the same thought, it's usually Pinot Noir that comes to mind. Pinot Noir is the varietal that garners the most attention and press, but as Southern Oregon becomes more well known as a serious wine region, it may well be the Zinfandel or Tempranillo grown there that demonstrates how truly excellent the region's wines can be. Earl and Hilda Jones had a vision of Tempranillo in the Spanish style and founded Abacela almost twenty years ago after searching for a site that would allow them to grow the varietal that inspired them. They landed in Southern Oregon's Umpqua Valley and planted their first Tempranillo in 1995. Award winning Tempranillo in the winery's library will be joined this year by a new denizen: the newly-introduced Paramour. This wine, which Abacela has been working toward since they first planted vines, is made from their top estate vineyard selections. For Abacela, this wine is the culmination of their desire to produce a wine that can rival the Spanish greats (the Gran Reserva) while highlighting the unique terroir that makes Oregon wine so lovely. Earl Jones notes that "Paramour is an old Middle English word meaning 'other love'" and says they chose that name to reflect the 20 years they spent pioneering Tempranillo while also underscoring the meticulous attention that goes into its production. 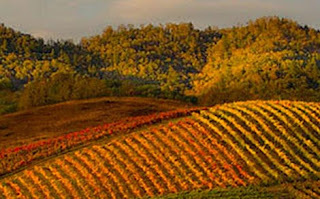 The philosophy at Abacela emphasizes hands-off winemaking that allows the variety and terroir to come through. Jones said that they knew from crush that the 2005 was the year for Paramour. The rainy spring and the dry, warm summer created perfect conditions for exquisitely ripe fruit. From the harvest, they selected "only the finest lots for the Paramour concentrating on making a proprietary Tempranillo blend that is greater than the sum of its parts." The suggested price for this one is $90 ($540 if you're the type to buy your wine six at a time). You can place pre-orders online until November 12, when the wine becomes available to the public (wine club members get first dibs).